While I´m at it, here´s another record I got in Brattleboro. Chris gave me a bunch of records and this was one of them. This record fits right along a couple of Berlin records that I posted here before: not punk, not new wave, not hard rock but a little bit of everything. I love it! The name derives from a Native American word (roughly U-puku-ipi-sing), meaning “the reed covered lodge by the little-water place,” referring to a spring or stream feeding into the Hudson River, south of the present downtown area. Poughkeepsie is known as “The Queen City of the Hudson.” During the late 1980s through the late 1990s, Poughkeepsie suffered from severe socioeconomic turmoil, serving as a symbol for urban decay in the Hudson Valley. 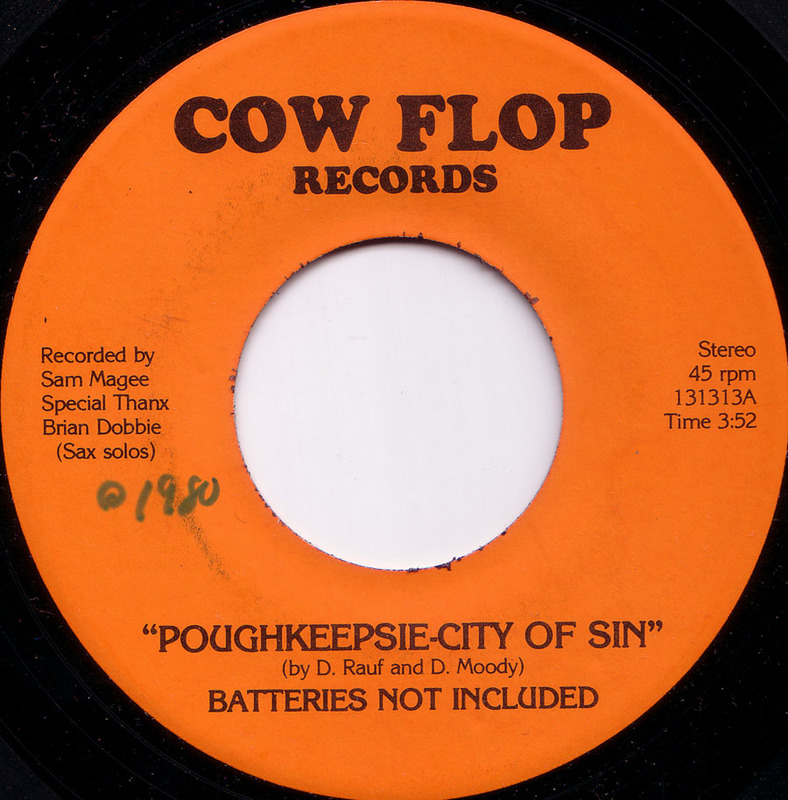 This is a great ode to a declining small town and a great, silly novelty rock´n´roll song! Again many thanks for this, Chris!